Here are a couple of things that I have in my stash which I would like to do but will they become UFO's. 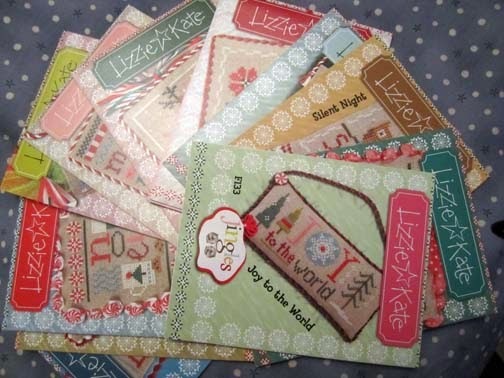 I am a big fan of Lizzie Kate, while I was at the Knitting and Stitching show in November I treated myself to these patterns and kit. 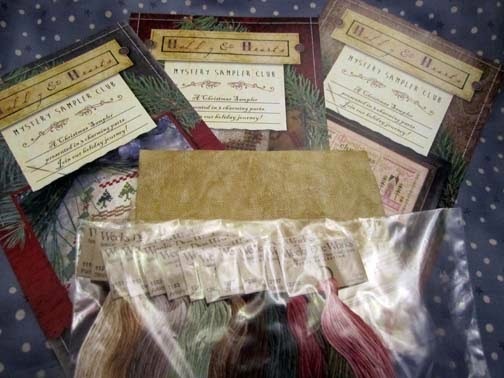 I bought the above as I like making Christmas Ornaments for exchanges so now I have got 12 to choose from, below was the Christmas Mystery I bought the whole kit which included the variegated threads. 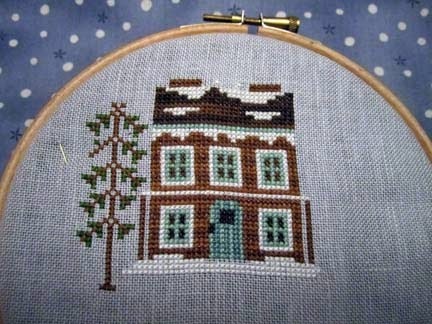 I have also signed up to do the Country Cottage Needleworks Frosty Forrest which is 9 patterns released over 9 months, I am on a autoship so each month I get the pattern, fabric and threads in the post I found a shop in the UK which was doing this so I didn't have to get it from the states I have joined a blog to help motivate me to complete them details in the side bar. 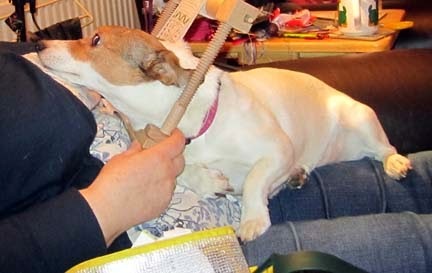 A few weeks ago while I was stitching using a frame my Jack Russell Penny wanted to get to me and doesn't care if I am stitching she will just try and climb through the frame. What a silly dog! My dogs try to nudge the frame out of the way or stare at me over the top of it until I break up laughing! Hi...followed the link from CarolR's (iStitch) blog. A nice haul of stash and lovely stitching.